Many food bloggers in Singapore have been rather upset over the Dîner en Blanc fiasco (the dust has since settled following an apology from the organiser). Do read here, here and here for the background. 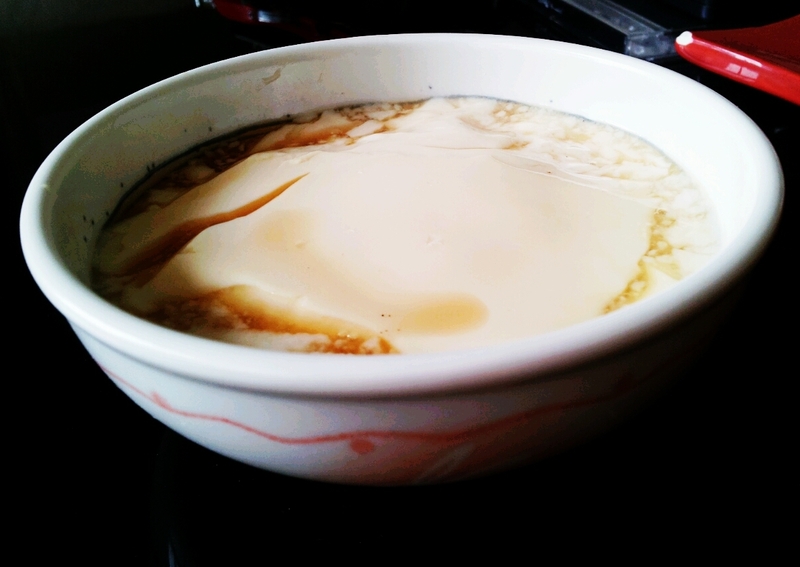 Even though I don’t live in Singapore, I thought I’d join in to make my very own Tau Huay (Tau Fu Fa). 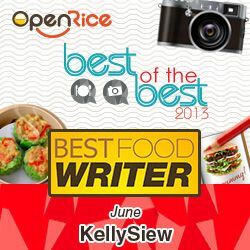 If Italian’s Pannacotta, which is basically a cream based dessert set with Gelatine, or the French’s very own creme brulee, which is a baked custard with burnt sugar, can be served in fine-dining restaurants, so can Tau Huay! Tau Huay, or Tau Fu Fa is a traditional Chinese dessert made with coagulated soy milk. It’s usually served with syrup, although in some parts of Chinese it’s actually served as a savoury dish, with soy sauce, chilli oil and various condiments. I’ve read quite a few recipes for Tau Huay and most of them either use Gypsum powder (the traditional way), or GDL (Glucono delta lactone). I have no access to these ingredients so I’ve decided to try using Gelatine. Of course, that’s not the end. You’ll need to boil the milk too. That’s the fun part because once it boils, it does this. Turn off the heat to let the bubbles subside, and then do this twice more. Add some rock sugar to sweeten the mixture slightly. While this is all happening, take a small bowl of hot water and sprinkle one heap teaspoons of gelatine over. Mix well. 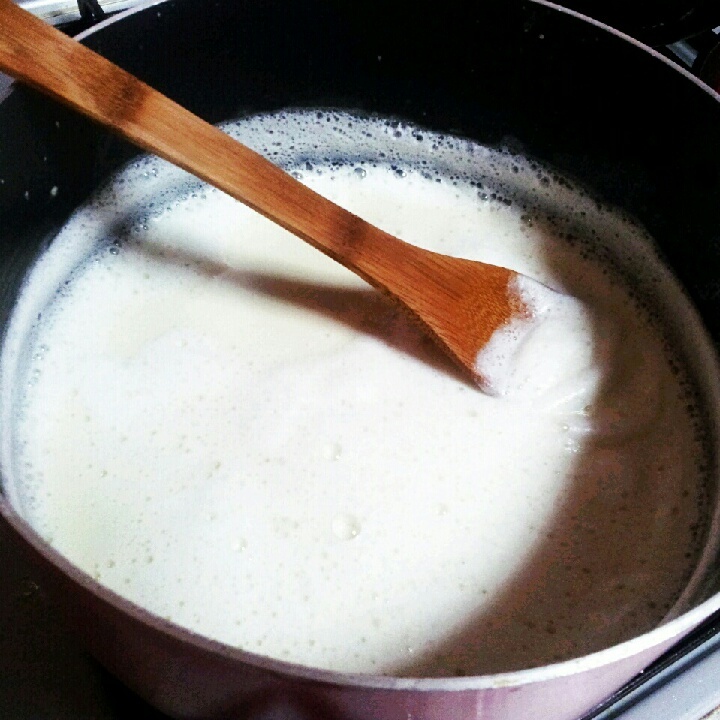 Pour the mixture into the bowl or container you are going to make the Tau Huay in, and add the soy milk, stirring vigorously to mix. The ratio is about 300ml soy milk to one teaspoon. 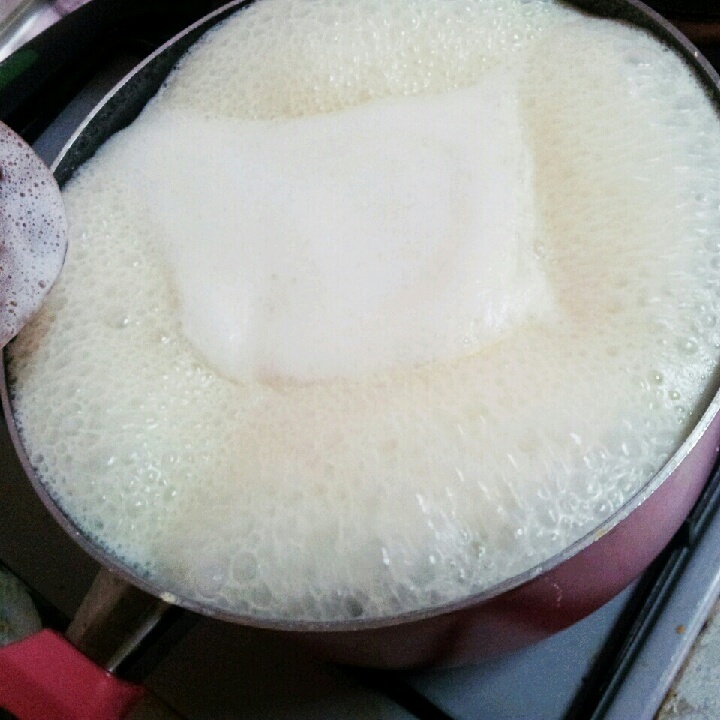 Remove the bubbles and send the mixture to the fridge and chill overnight. To make the palm sugar syrup, just boil half a cup of palm sugar and 1 teaspoon of brown sugar with half a cup of water. Easy Peasy! If you want a really thick syrup, just double the palm sugar. Admittedly I kept this very simple, just serving it in a regular bowl with the syrup spooned over. Many have gone one step further with the presentation. Check out the event page for many other creative entries! Success! Though not very pretty, it’s definitely soft and silky. I’m glad that the Gelatine worked, though next time I’ll try making this with agar-agar powder (as Gelatine is not completely vegetarian). Thank you Alan Goh of travellingfoodies for setting up the event! Kar Heong Restaurant and Few Announcements etc. Next time must try this out! Indeed you should! Since you already make your own soy milk, it’s just one more step. Reblogged this on Theragingcook's Blog. Oohh. What does reblogging do? I never knew! odd! must’ve been my wordpress app playing up – it freezes when I click submit lately lol. Beautiful!!!! lol, I oighta try this from scratch as opposed to pre-packaged tofu and homemade to fu fa syrup! 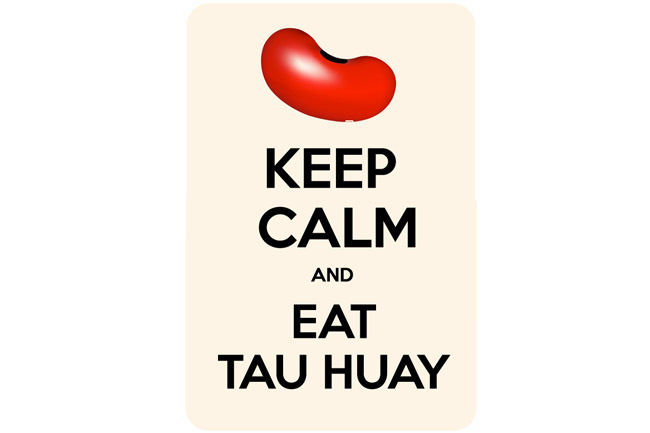 A new challenge I need to do – tau fu fa! Yeah then you can make your own soy milk too! Ah… I’ve always thought making tau fu fah is daunting, but u make it look so easy!Great job Kelly. Apparently it’s difficult with Gypsum powder. I’m just taking the easy way out hehe. your tau huay looks so yummy. My weekend was definitely not as exciting and glamorous as yours! You look so slim and lovely, yet you always cook and serve delicious meals at home, I’m sure you eat some of them right? How do you stay so trim and gorgeous?! im sure we all had fun making tau huay at home ! actually i hvnt tried eating that with palm sugar, should be very nice too! I have excess palm sugar at home so I’m using it as much as I could hehe.